The Tax Cuts and Jobs Act impacts several programs. This includes changes to fringe benefits, which can affect an employer’s bottom line and its employees’ deductions. The new law generally eliminated the deduction for any expenses related to activities generally considered entertainment, amusement or recreation. With this in mind, nightclubs, cocktail lounges, theaters, country clubs, golf and athletic clubs, sporting events, hunting, fishing, vacation and similar trips do not allow for deductions. The new law also disallows deductions for expenses associated with qualified transportation fringe benefits or expenses from providing transportation for commuting. There is an exception when the transportation expenses are necessary for employee safety. Moreover, employers can deduct qualified bicycle commuting reimbursements as a business expense. Employers must also include qualified bicycle commuting reimbursements in the employee’s wages. Employers must now include moving expense reimbursements in employees’ wages. The new tax law suspends the exclusion for qualified moving expense reimbursements. Exception: members of the U.S. Armed Forces can still exclude qualified moving expense reimbursements from their income. However, they must meet certain requirements to do this. Special rules allow an employee to exclude achievement awards from their wages if the awards are tangible personal property. 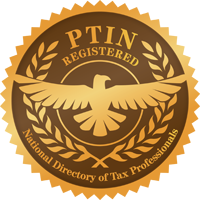 An employer also may deduct awards that are tangible personal property, subject to certain deduction limits. Also, the new law clarifies the definition of tangible personal property. Jeffrey Schneider, EA, CTRS, NTPI Fellow has the knowledge and expertise to help you reach a favorable outcome with the IRS. He is the head honcho at SFS Tax & Accounting as well as an Enrolled Agent and a Certified Tax Resolution Specialist.